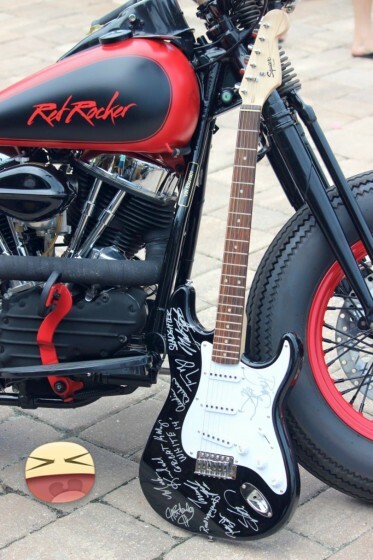 This was a great concert we had a great time, Sammy, Michael, Jason & Vic did what they love, play music. 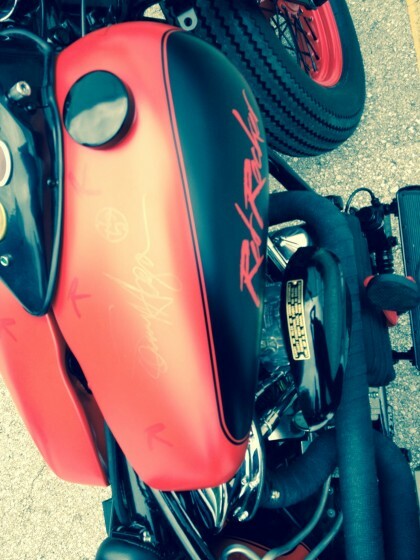 Red Rocker Bobber was there and got lots of attention. 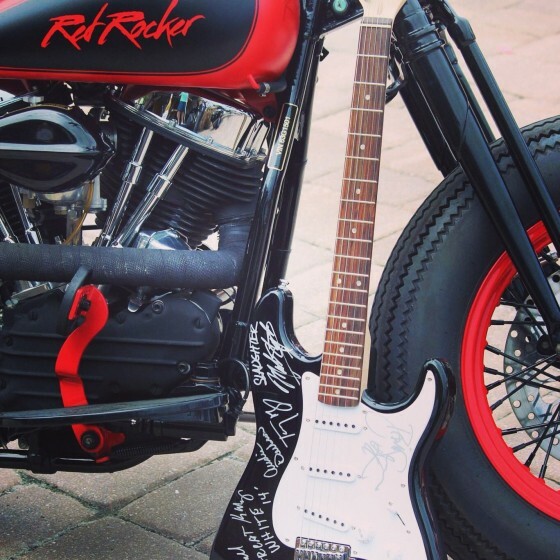 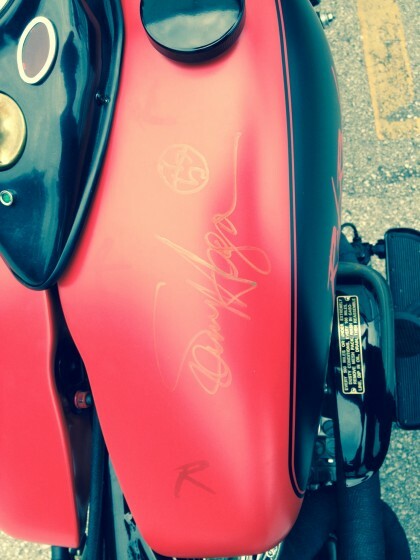 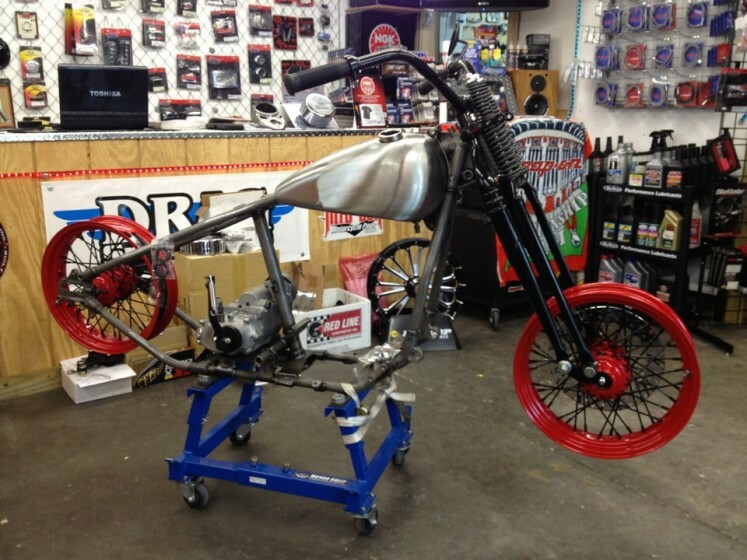 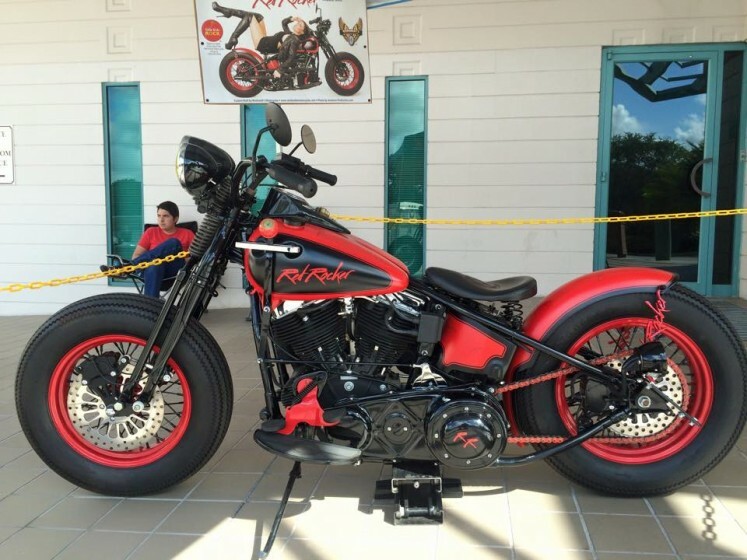 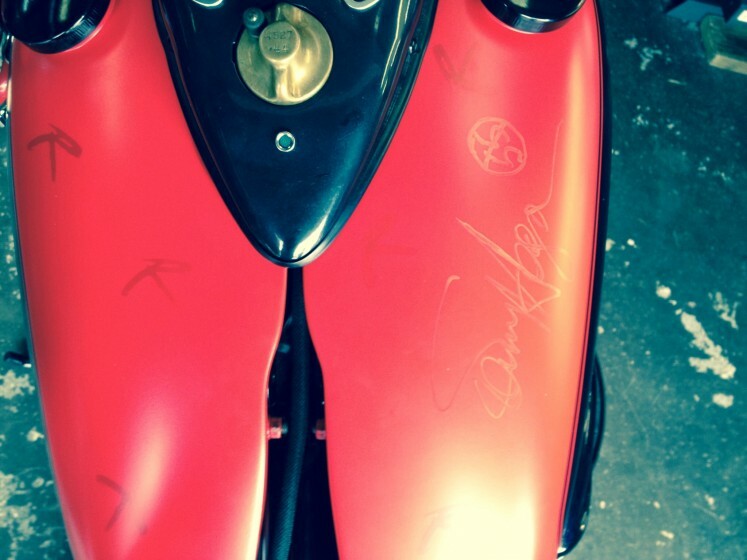 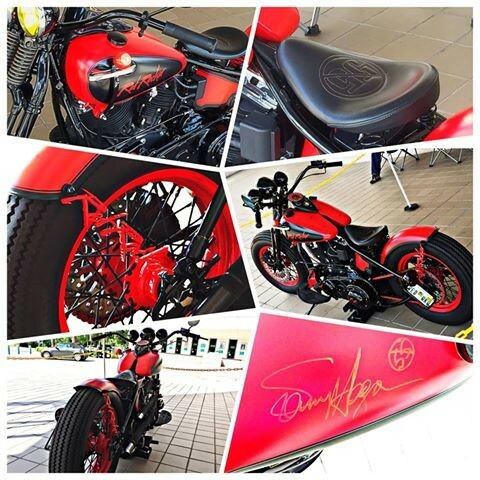 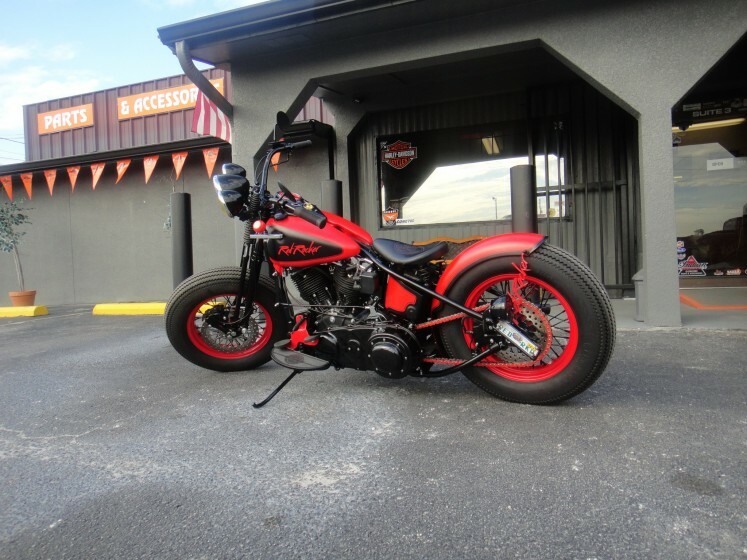 We have the RED ROCKER Tribute bike to Sammy Hagar on e-Bay check it out, she needs a good home so we can give the proceeds to LITTLE KIDS ROCK. 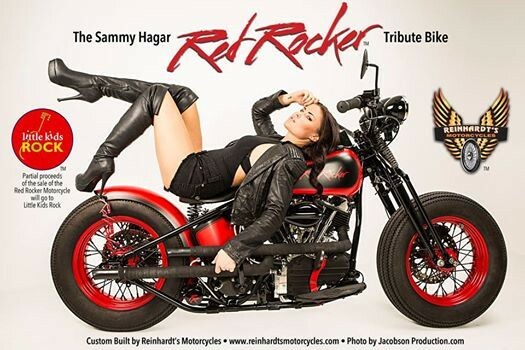 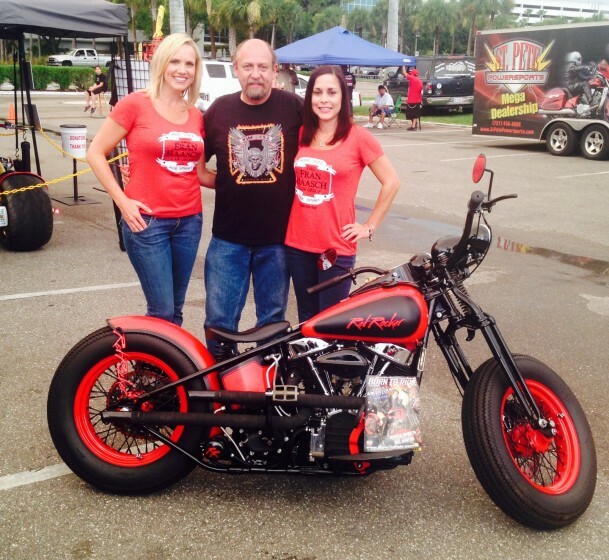 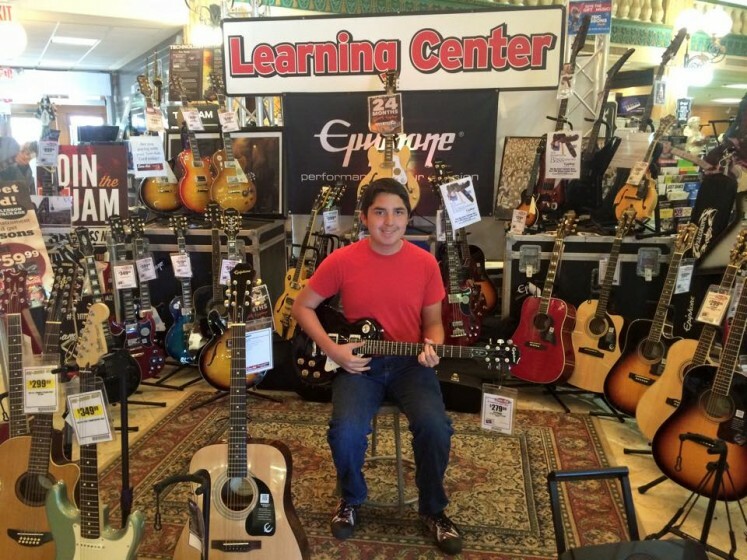 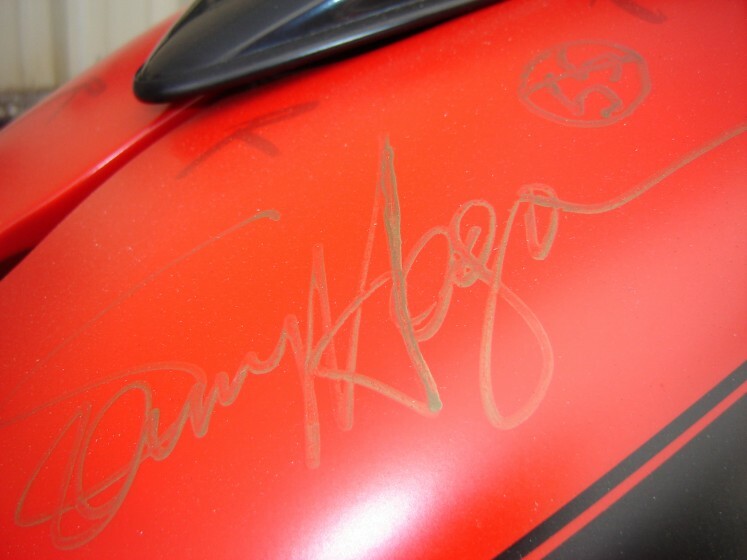 Here is the link for all you Redheads and friends of Sammy Hagar to get in on the Auction. 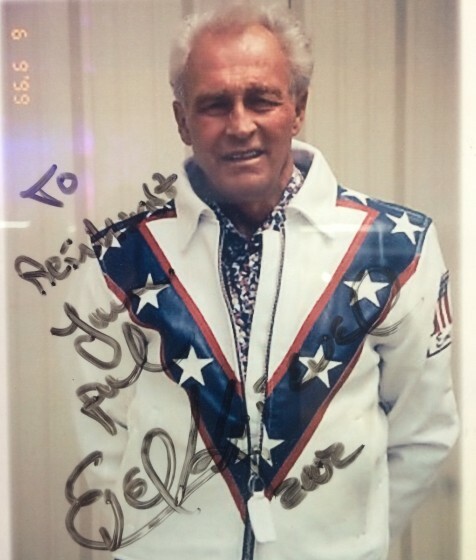 Thank you to all my friends and family for a great Rocking Birthday. 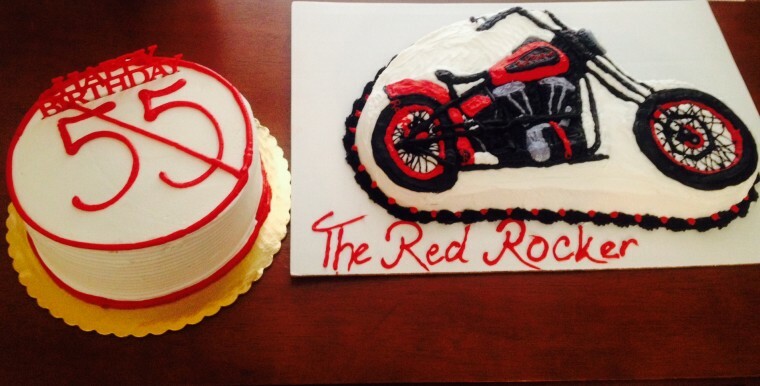 "NO 55" cake and the Red Rocker cake just go together. 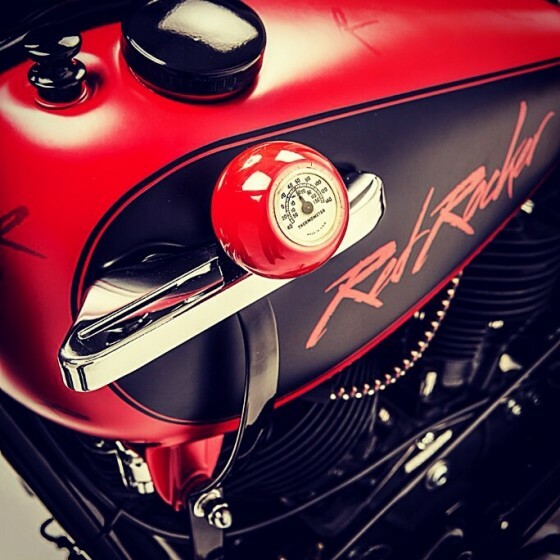 Red Rocker Bobber Panhead will go on E-Bay next week we will keep you posted when the Auction starts and just remember the money will go to LITTLE KIDS ROCK!!!!!!!!!!!!!!!!!!!!!!!!!!!!!!!!!!!!!!!!!!!!!!!!!!!!!!! 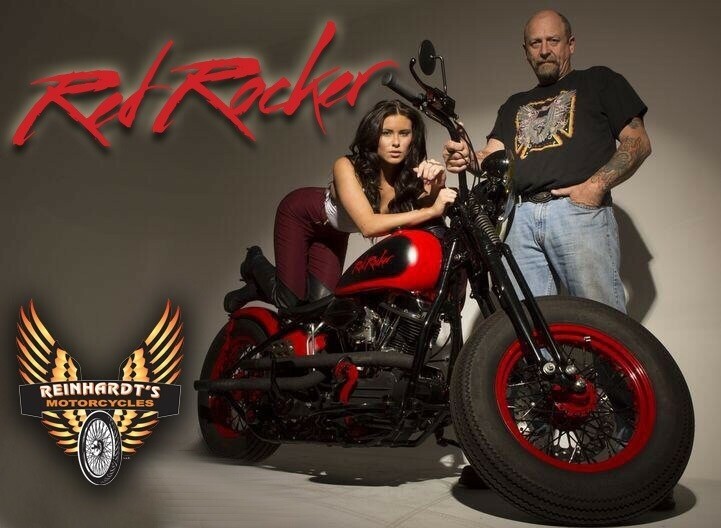 Hope we get a good turn out we will keep you posted. 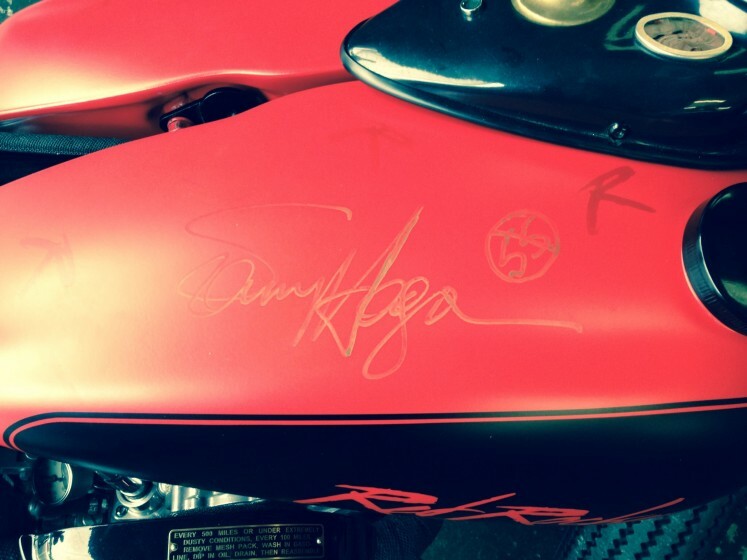 Signed and ready for auction and for a good cause!